The Halakha, like any jurisprudence, is not a definitive set of rules, but rather an ever-expanding discourse: Its authority is derived from the belief in divine revelation, but interpretation and application are done by the rabbis, who base their mandate on biblical verses such as and thou shalt observe to do according to all that they inform thee. From ancient to modern times, the rabbinic discourse was wrought with controversy (machlokes) and sages disagreeing upon various points of the law. The Talmud itself is mainly a record of such disputes. Traditional belief, maintained by the Orthodox today, regards such disagreement as flowing naturally from the divinity of Jewish Law, which is presumed to potentially contain a solution for any possible predicament. As long as both contesting parties base their arguments according to received hermeneutics and precedents and are driven by sincere faith, both these and those are the words of the Living God (this Talmudic statement is originally attributed to a divine proclamation during a dispute between the House of Hillel and House of Shammai). Majority opinions were accepted and canonized, though many old disagreements remain and new ones appear ceaselessly. This plurality of opinion allows decisors, rabbis tasked with determining the legal stance in subjects without precedent, to weigh between a range of options, based on methods derived from earlier authorities. The most basic form of halakhic discourse is the responsa literature, in which rabbis answered questions directed from commoners or other rabbis, thus setting precedent for the next generations. Ultra-Orthodox demonstrators (over 300,000 took part), protesting for the right of Yeshiva students to avoid conscription. Jerusalem, 2 March 2014. The second Haredi group are the "Litvaks" or "Yeshivish." They originated, in a loose fashion, with the Misnagdim, the opponents of Hasidism, who were mainly concentrated in old Lithuania. The confrontation with the Hasidism bred distinct ideologies and institutions, especially great yeshivas, learning halls, where the study of Torah for its own sake and admiration for the scholars who headed these schools was enshrined. With the advent of secularization, the Misngadim largely abandoned their hostility towards Hasidism. They became defined by affiliation with their yeshivas, and their communities were sometimes composed of alumni of the same institutes. The great prestige ascribed to those as centers of Torah study (after they were rebuilt in Israel and America, bearing the names of original Eastern European yeshivas destroyed in the Holocaust) swept many of a non-Misnagdic background, and the term "Litvak" lost its ethnic connotation. It is in fact granted to all non-Hasidic Haredim of European (Ashkenazi) descent. The "Litvak" sector is led mainly by heads of yeshivas. 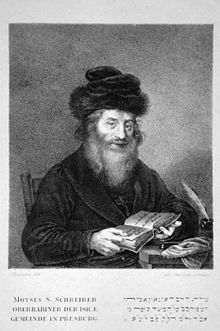 An ideological challenge to rabbinic authority, in contrast to prosaic secularization, appeared in the form of the Haskalah (Jewish Enlightenment) movement which came to the fore in 1782. Hartwig Wessely, Moses Mendelssohn and other maskilim called for a reform of Jewish education, abolition of coercion in matters of conscience, and other modernizing measures. They bypassed rabbinic approval and set themselves, at least implicitly, as a rival intellectual elite. A bitter struggle ensued. Reacting to Mendelssohn's assertion that freedom of conscience must replace communal censure, Rabbi Cohen of Hamburg commented: The very foundation of the Law and commandments rests on coercion, enabling to force obedience and punish the transgressor. Denying it is akin to denying the sun at noon.